Product code: 1180 Categories: Sold Items, Sold Watches. 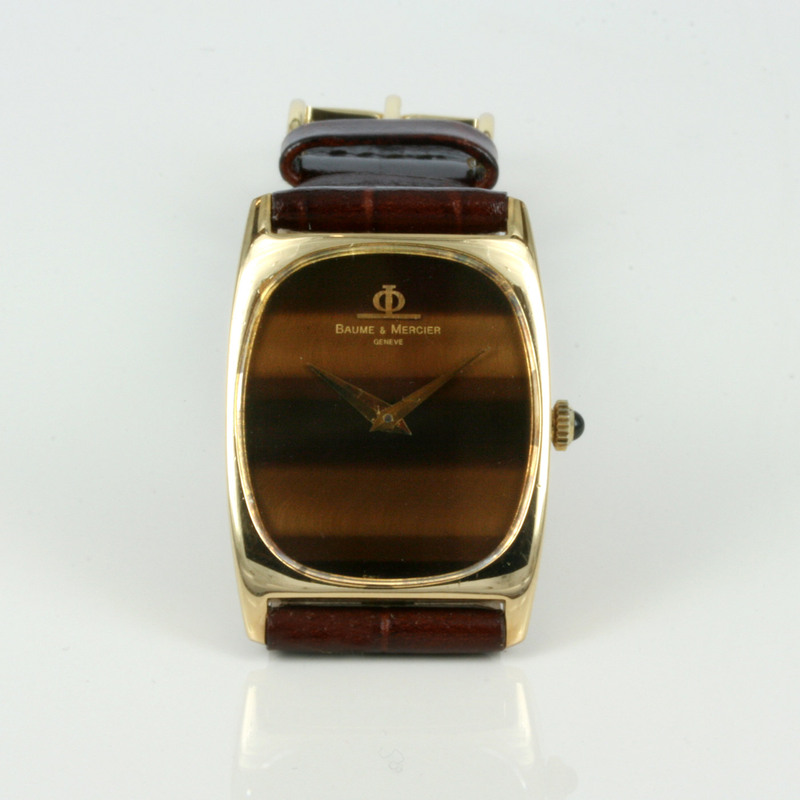 This is a great looking vintage Baume and Mercier watch made in a solid 18ct yellow gold case and fitted with a sensational tigers eye dial. The tonneau case measures 35mm x 26mm (28mm with the sapphire crown), and looks superb day or night. Fitted with a 17 jewelled manual wind Baume and Mercier movement that keeps perfect time, and fitted on a leather strap, this Baume and Mercier can so easily be worn day or night. 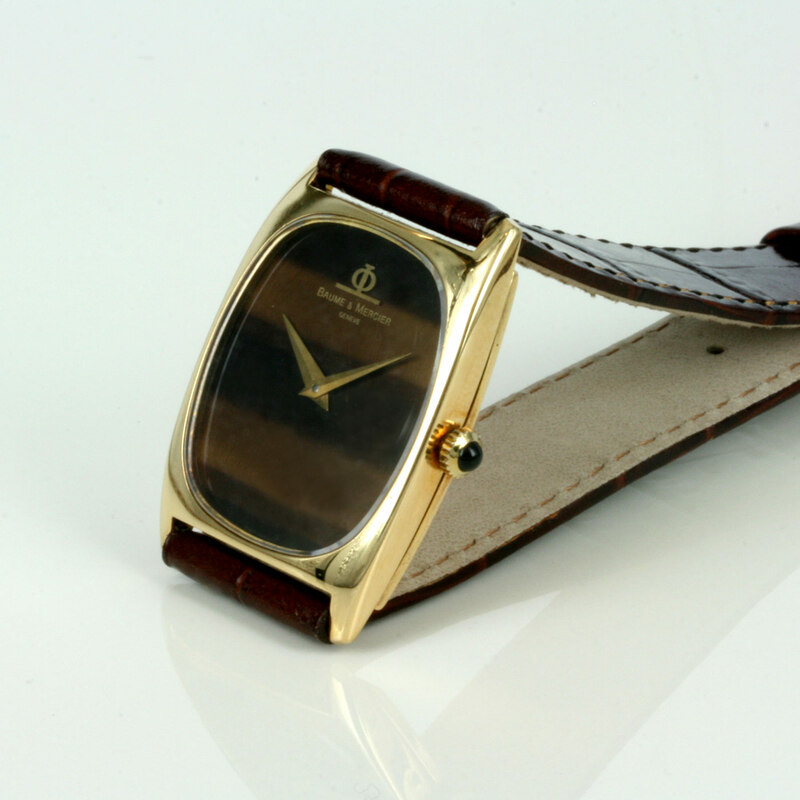 A great solid 18ct gold watch for any occasion.